Dorothy Mae “Dottie” Smoot Fryman, age 97, of Paris, went home to be with the Lord on Tuesday, November 14, 2018 at Northpoint Healthcare Center of Lexington. She was born on October 3, 1921 in Portsmouth, Ohio, the daughter of the late Robert Stanley Smoot and Mattie Lou Frances Hawkins. Besides her parents, she was preceded in death by her husband, Charles C. Fryman, a son Darryl Wayne Fryman, a daughter, Kathy Harris and grandson, Darran Wayne Fryman. She was a graduate of the Corbin School System and worked as a seamstress for 18 years prior to her retirement. 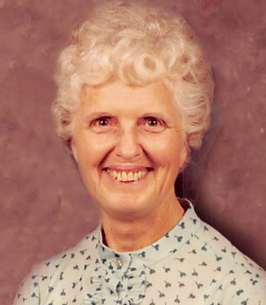 She had made a profession of faith and was a member of Grace Fellowship of Paris. Dorothy is survived by her grandchildren, Eric Thornsburg and wife Melanie, Dwayne Fryman, Brandon Fryman, Lauren Clarke and husband Chris, Victoria McAlpin and several great-grandchildren as well as a sister, Pauline Burroughs of Fort Wayne, IN. The funeral for Dorothy Mae “Dottie” Smoot Fryman will be at Hinton-Turner Funeral Home on Monday, November 19, 2018 at 2:00 p.m. with interment to follow in Paris cemetery. The family request visitation at Hinton-Turner Funeral Home on Monday, November 19, 2018 after 12:00 p.m. until time for the service. 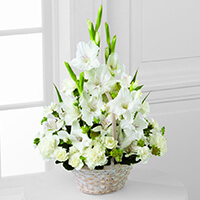 To send flowers to the family of Dorothy Mae "Dottie" Fryman (Smoot), please visit our Heartfelt Sympathies Store. We send our deepest sympathy to all of Aunt Dot's family and friends in Kentucky. We have wonderful memories of the times we spent with her in California, Kentucky and Hawaii.